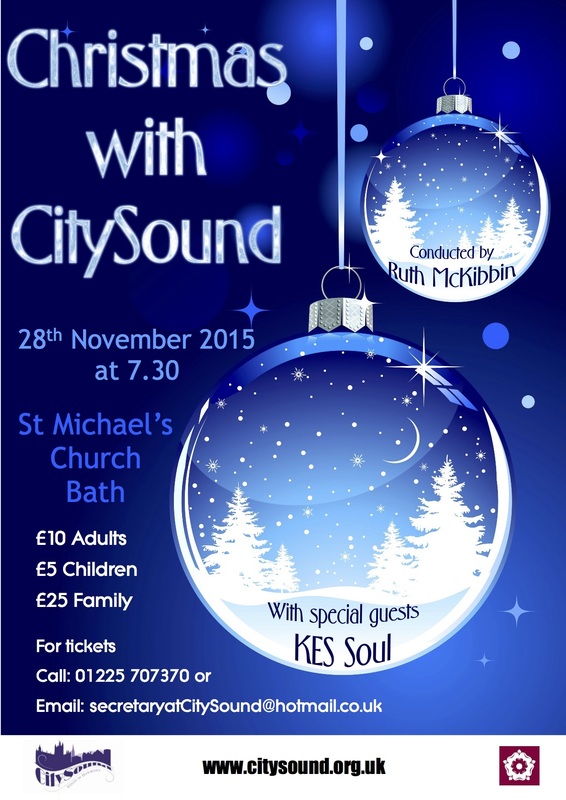 We are delighted to be sharing this concert with KES Soul! James Brennan, Will Denny, Mathew Chapman, Emma Jones, George le Coyte, Molly Phillips, Isabella Tann, Theo West, Benji Heffer, Adam Dudley-Friar, Charlotte Ghali, Bella Antcliff, Max Antcliff, Billy Harman, Bea Jones, Alba Hubbard, Edward Satterthwaite, Sophie Mayhew, Holly Davies, Gemma Roper, Lottie Phillips, Alasdair Meehan, Louis Miltion, Fran Barrett, August Pemberton, Jack Morgan Alex Llewellyn. We are CitySound Voices, around 30 singers who decided in 2012 that we wanted to form ourselves into a new choir. It has been an exciting journey. We knew that we wanted to sing as varied a repertoire as possible – everything from Monteverdi to Bohemian Rhapsody. We hope that our name CitySound shows that we are not rooted in any particular musical tradition. We also knew that we wanted to be as good as possible, and were prepared to work hard at our rehearsals. We were lucky to persuade Australia-born Ruth McKibbin, now an enthusiastic resident of Somerset, to take us on. As our Musical Director she brings together her own experiences as chorister, operatic soloist and teacher, and insists on wasting no opportunity to develop our vocal technique and our musical sensitivity. Joining together to make music is surely one of the finest things a community can do. We like to perform with other choirs, especially young musicians. “CitySound was formed 3 years ago and their repertoire consists of a wide range of songs. From Billy Joel, Mercury to Mancini, Carol King to Jamie Cullum, Pucini, Verdi to Lauridsen – they certainly sing from an impressive and varied songbook. Next Next post: CitySound Voices BBC Radio 3 Broadcast.